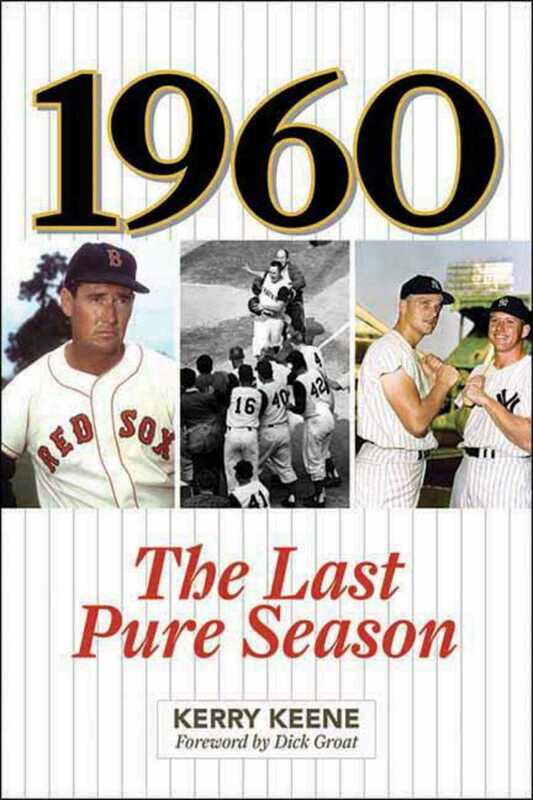 1960: The Last Pure Season is the most complete work ever about one of baseball’s most glorious campaigns. There was Pittsburgh’s shocking World Series victory over the indomitable Yankees, Ted Williams’s legendary final season, a classic homerun derby, the formation and ultimate disbanding of Branch Rickey’s proposed Continental League, and the birth of baseball’s Twins and Angels. This was the last season when the original National and American League teams were intact; the next year baseball began its expansion which eventually led to baseball “play-offs” and league “Divisions.” It was a time when most of the game’s players earned salaries about twenty-five times that of the average American, compared to 1999, when those salaries were nearly 400 times greater. Keene also details the award winners that year, the moves toward expansion, and includes a chapter on “Reflections of a Year for the Ages.” Changes in team ownership, managers, and stadiums marked the beginnings of many more changes to come during the decade of the ’60s and beyond. In a new prologue, Keene highlights these changes and connects them with today's game in a special tribute to the "boys of summer" of 1960.